While internet video-sharing sites like YouTube continue to be dominated by a sea of pop music videos and a vast assortment of odd people recording themselves doing even odder things, they are also becoming home to a large number of videos emerging from the political hot spots of the Islamic world, including Chechnya. The impact of this new technology was displayed in a video clip of a May 2006 speech by the late Chechen president, Abdul-Halim Sadulayev. Sadulayev wears a camouflage uniform and speaks from behind a desk supporting a Chechen flag and a number of Islamic texts, but the usual prop of an AK-47 assault rifle has been replaced by a laptop computer. YouTube, the original and best known of the video-sharing sites, was founded in 2005 and purchased a year later by Google Inc. The site offers its users an opportunity to upload their own video material so that it may be viewed and shared with other users. Submissions to YouTube are not subject to an editorial process – the sheer volume alone would preclude this, with over 65,000 new videos uploaded every day. Viewers are given the opportunity to flag offensive videos as inappropriate. Ever since the audio-cassette tape replaced the leaflet in Ayatollah Khomeini’s Iranian revolution, every new technology has been seized upon as a means of spreading political messages. As a political medium, YouTube offers direct access to the viewer on a website that is safe from hackers or direct political interference. As success breeds imitation, YouTube has now been joined by several other video-sharing websites, including Google Video, Revver, Guba and Grouper, all of which now host jihadist videos from Chechnya and the Middle East. 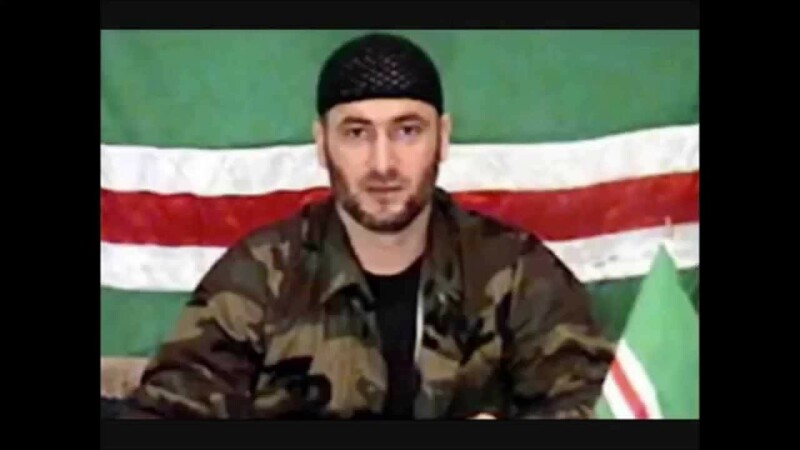 The Chechen-related videos available on YouTube and Google Video include many documentaries alleging genocide on the part of the Russians, various “tributes” to the Chechen people (usually from diaspora sources), combat footage used in pop music videos and recordings of Chechen mujahideen in the field. Some videos are simply exploitative, such as the one labeled, “Footage from Chechnya with cool music.” Most of the video-sharing sites provide space for viewer comments, which typically mix profanity with calls for torture and genocide. The comments rarely have any connection to the actual footage to which they are attached. The late Saudi mujahideen leader Amir al-Khattab is a favorite subject for many of the videos. 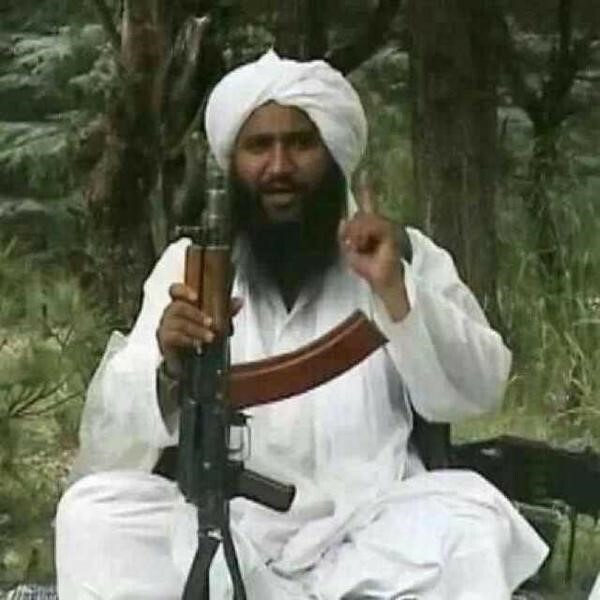 In his lifetime, al-Khattab became a sort of “superstar” mujahid in the eyes of Islamist radicals, particularly because of his visibility as a leader of mujahideen in Afghanistan, Tajikistan and Chechnya. Khattab’s reputation was made by the success of his devastating ambush of a Russian armored column in Shatoi during the 1994-96 Chechen-Russian war. Footage of the ambush is available in a video entitled “Shatoi 1996,” produced by the Turkish-based cihad.net . The media-savvy Khattab was a pioneer in producing video footage of combat operations in order to aid fundraising efforts and demoralize the Russian population. Chechnya’s new president Ramzan Kadyrov is also the subject of several videos intended to humiliate the young president by attributing him with acts of rampant violence. In a video of less than a minute, entitled “Kadyrov Hits Woman in Chechnya,” a young woman is slapped several times by a member of a group of uniformed men. Though voices and laughing can be heard from the men, it is impossible to identify anyone due to the jerky camera work and the fact that the sun is behind the man doing the slapping. Another short video from Kavkaz Center, “Chechen Justice,” shows grainy footage of a bound and kneeling captive who receives several swats from his captors (Kadyrov’s men, according to the label) before being shot with a handgun. Various short videos can be found showing the Chechen mujahideen at prayer, preparing food in camp, cleaning weapons, mounting ambushes, shooting down helicopters and carrying out patrols. More inspirational videos combine traditional music, the zikr (a Sufi ritual), combat scenes, folk dancing, footage of wolves (the symbolic animal of the Chechen people) and plenty of IED explosions . Movladi Udagov’s Kavkaz Center website has been a leader in developing what are often called “jihadi websites.” Video clips of mujahideen operations have long been available on the site, many of which are now finding their way to video-sharing sites. Some of the videos are also the work of Nizam TV, the video production arm of the Chechen resistance. Several videos deal with the 1999 massacre of civilians by Russian troops in Samashki, while others contain footage of Russian troops brutalizing wounded Chechen prisoners after the battle at Komsomolskoye in 2000 (where Ruslan Gelayev’s command was encircled and destroyed). 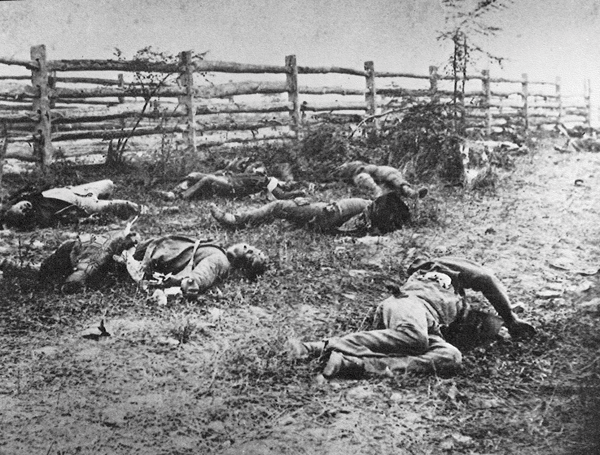 It is often clear that the Russian soldiers themselves were the ones who recorded this carnage. A great deal of the Russian and Chechen footage available comes from the 1994-96 war or the early years of the current conflict, now in its eighth year. The limited amount of mujahideen video available from the last few years most likely reflects operational realities created by the formation of large pro-Russian Chechen militias that could potentially identify resistance fighters and camp locations from the video clips. Lebanon’s Hezbollah are the masters of electronic guerrilla warfare, having discovered early on the value of video footage of Hezbollah attacks against Israeli soldiers during the guerrilla war of the 1990s. The political effect in Israel of seeing Israeli troops killed by Shiite fighters created what military analysts refer to as a “force multiplier.” Hezbollah now operates radio stations, a television network and websites in eight languages, including Hebrew. Likewise, video footage of anti-Coalition fighters in Iraq has long been available on cassette, but recently, much of this material has found its way onto the video-sharing sites. YouTube pulled dozens of these videos from its website in response to complaints about footage of U.S. soldiers being killed or wounded (New York Times, October 6, 2006). CNN used footage (described as “user generated content”) from YouTube in its coverage of last year’s conflict in Lebanon. Realizing the potency of such footage, the news network has followed this up by creating CNN Exchange, a website featuring “user-submitted video, audio and articles” (CNET News, July 30, 2006). While many jihadist videos are eventually removed from video-sharing sites, a single user can upload dozens of new videos in a single day. Labeling the videos in Arabic rather than English is often enough to prevent monitors from identifying jihadist material. (Guardian, October 7, 2006) Since the video-sharing sites are reactive rather than proactive in dealing with sensitive material, it is up to the viewers to identify and report “inappropriate” videos. Even when a site might agree to remove “offensive” material, a user can re-upload the same material almost immediately afterwards, often using new titles. Even deleted material can be recovered by using the Deleted YouTube Video Viewer application. For now, insurgent groups like the Chechen resistance can be expected to continue to find means of exploiting new information technologies. The brief Greek-Turkish ‘cyber-war’ will not be the last conflict to use YouTube as its battleground. It was only a few years ago when the African nation of Chad was being promoted as a ground-breaking example of a new model of transparent oil revenue distribution that would relieve poverty and initiate development. Tribalism and kleptocratic rule would no longer be part of the familiar equation of vanishing oil wealth in other parts of Africa. Instead, only a few weeks ago, the world witnessed blood running in the streets of the Chadian capital of N’Djamena as rival factions of the minority Zaghawa tribe battled for the right to empty Chad’s ever-growing coffers. This unwelcome instability only adds to a downward spiral of violence in a region already beset by political and ethnic violence in neighboring Darfur and the Central African Republic (CAR). Chad is host to hundreds of thousands of refugees from Darfur and the Central African Republic, as well as Chad’s own internally displaced peoples. Most Chadians live in grinding poverty overseen by a political and administrative structure routinely viewed as one of the most corrupt in the world. Despite this, the February 2-3 attack on N’Djamena by 300 armed pick-up trucks full of rebels had less to do with righting these glaring inequities than with replacing President Idris Déby’s Zaghawa faction with other Zaghawa factions eager to take control of Chad’s sudden oil wealth. Formed as a territory of France after the conquest of a number of small sultanates and the expulsion of the Libyan Sanusis in the early years of the 20th century, Chad gained independence in 1960. There is a strange relationship between Chad and France that began in 1940 when Chad, through its governor, Felix Aboué—actually from French Guiana—was the first overseas territory of the French empire to declare for Free France. General Leclerc had the first Free French military successes in Chad before marching into southern France, together with thousands of Chadian troops. In the process Chad became inextricably tied with the mythology surrounding the creation of modern, Gaullist, post-war France. In practice this often translates into seemingly inexplicable French support for the government of the day in Chad, regardless of corruption or inefficiency. The French military presence in Chad is officially referred to as Operation Epervier (Sparrowhawk), which began in 1986 as a means of supplying French military assistance in the form of troops and warplanes to the regime of President Hissène Habré as the Libyan army tried to seize the uranium-rich Aouzou Strip in northern Chad. When General Déby overthrew the increasingly brutal Habré in 1990 the French looked on. Though the dispute with Libya was settled in 1994, the French military mission stayed on as a “deterrent.” Today it includes about 1,200 troops, six Mirage aircraft and three Puma helicopters (Le Figaro, April 19, 2006). Typically the French supply the regime with intelligence and logistical assistance. France has limited commercial interests in Chad and is largely uninvolved in the nation’s oil industry. Rebel leader Mahamat Nouri notes that Chad and France share a “community of interests in history, religion, blood and culture,” while adding that the French government—and not the people of France—have befriended Déby against the people of Chad (TchadVision, February 27). Crude oil was first discovered in Chad in the late 1960s, but development of a local industry was delayed due to the remoteness of the land-locked country, lack of infrastructure and political instability. The oil boom changed all that, and today a consortium run by ExxonMobil, ChevronTexaco and the Malaysian Petronas operate Chad’s oil industry. Three oil fields in the Doba Basin are currently in operation, with estimated reserves of 900 million barrels (Afrol News, December 22, 2004). A 2000 deal between Chad, the World Bank and a consortium of oil companies called for the construction of a $3.7 billion pipeline from Chad’s oilfields to the Cameroon port of Kribi on the Gulf of Guinea. Three years later 160,000 barrels per day were running through the pipeline, gradually growing to the peak capacity of 225,000 barrels per day. The agreement called for 70% of Chad’s revenues from the project to go toward infrastructure development and poverty relief. Transparency and accountability were to be the key in avoiding the widespread corruption of other oil-rich African countries. In practice very little of this new affluence trickled through the hands of the regime. Increased spending on weapons began almost immediately while electricity remains unknown outside of the capital. A failed rebel assault on the capital in April 2006 led a shaken President Déby to begin diverting an even greater share of oil revenues toward arms purchases for the army and the Republican Guard. Unfortunately for Déby, the World Bank had already suspended roughly $125 million in grants and loans and payment of an equal amount of royalties in January after the President unilaterally changed the terms of the 2000 agreement. Déby simply threatened to turn off the taps and things suddenly began to swing his way. Under pressure to keep the oil flowing in Chad, the World Bank offered a new deal doubling the amount of oil revenues going directly to the government for unsupervised spending to 30%. With oil having now crashed through the $100 a barrel barrier, there is suddenly enormous and unprecedented wealth available to whatever faction can seize and control it. 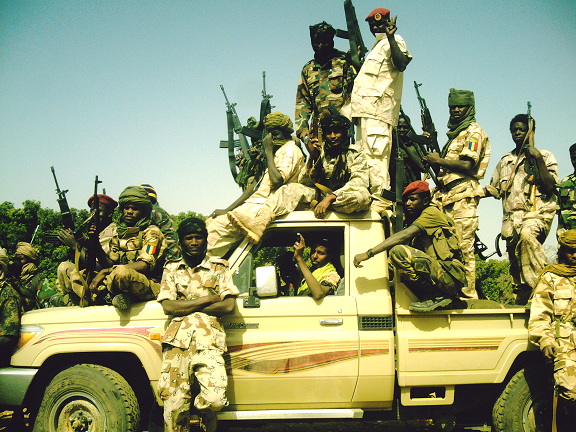 The Sudanese may be training and supplying the Chadian rebels, but they do not need to give them a reason to fight. The government is actively encouraging new exploration in the promising Lake Chad Basin as only the existing Doba Basin oil fields are subject to the oversight and supervision terms of the 2000 agreement. The distribution of all new revenues from the industry will be completely unsupervised by outside agencies. Unfortunately the industry has created very little local employment, most of which is menial and low-paying. The struggle for Chad and its oil industry is part of the growing commercial and political strength of the non-Arab Zaghawa in Chad and Sudan. The Zaghawa are a small indigenous semi-nomadic tribe that once controlled a string of petty sultanates running across what is now northern Chad and Darfur. Despite their small numbers, they have become politically and economically powerful and are challenging the dominance of Sudan’s Jallaba (Nile-based Arabs) over Darfur. Déby’s support for Zaghawa-dominated rebel groups in Darfur has led to reciprocal Sudanese support for Zaghawa factions seeking to depose Déby. Traditionally the Zaghawa are divided into several groups, including the Zaghawa Kobe, Zaghawa Tuer and Zaghawa Kabka. They are closely associated with a similar tribe, the Bidayat. Their growing strength in the region does not necessarily imply unity—the Zaghawa are heavily factionalized. The president of Chad, Idris Déby, is a Zaghawa, but his strongest opposition is formed from other groups of Zaghawa, many of them led by his relatives. It is some measure of the growing power of the Zaghawa that, despite comprising only two percent of Chad’s population, they are still able to divide their forces in a struggle for power to the exclusion of every other ethnic group in the nation. Déby is kept in power by the Zaghawa-dominated Armée Nationale Tchadienne and the Garde Républicaine (largely Zaghawa Kobe). In neighboring Darfur, the strongest of the anti-Khartoum rebel groups is the Justice and Equality Movement (JEM). The leadership is strongly Zaghawa and is supported by Chad, though there have been disputes over JEM recruiting from the ranks of the Chadian army. Sudanese sources claim that a leading JEM commander was killed while assisting Chadian troops against the rebels in N’Djamena (Sudan News Agency, February 4). Darfur’s National Movement for Reformation and Development (NMRD) is drawn mostly from the Zaghawa Kabka and includes former leading members of Chad’s Garde Républicaine and the state intelligence service. The National Redemption Front (NRF) is another Zaghawa-dominated rebel movement that receives military support from N’Djamena. The leading rebel groups have developed a unified military command. These groups include the Union des forces pour la démocratie et le développement (UFDD), the Rassemblement des forces démocratiques (RAFD), and the UFDD-Fondamentale. The UFDD are mostly Gura’an (or Goran) from the Tibesti region—the tribe of Déby’s predecessor, Hissène Habré—and are led by Mahamat Nouri, the former Chadian ambassador to Saudi Arabia. The RAFD is a coalition led by twin brothers Tom and Timane Erdimi, who also happen to be Déby’s nephews and former cabinet ministers in his government. Most RAFD fighters are Zaghawa defectors from the Garde Républicaine. The UFDD-Fondamentale is led by a Misseriya Arab, Abdul-Wahid Makaye. Like an earlier assault on N’Djamena in April 2006, the rebels were eventually driven off, but only after severe fighting in the streets of the capital. 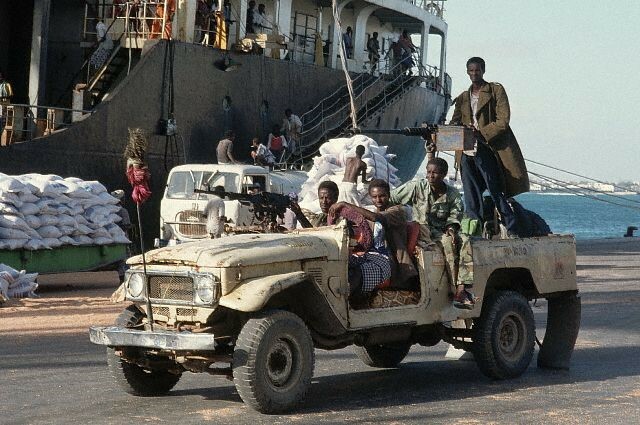 Rebel tactics typically draw on the highly mobile land cruiser-based tactics perfected in the 1980s by Zaghawa and Tubu fighters against Libyan troops in northern Chad. There are reports that the 300 Toyota Land Cruisers used in the assault were purchased by Khartoum, while the entire operation was planned by Salah Gosh—head of Sudan’s National Security and Intelligence Service—and the Sudanese defense minister, Lt. General Abd al-Rahim Muhammad Hussein (Al-Sudani, February 7; Sudan Tribune, February 7). Chad often refers to the rebels as radical Islamists in an effort to garner international support and has accused Saudi Arabia of recruiting mercenaries associated with al-Qaeda to fight alongside the rebels, going so far as to make an official complaint to the UN Security Council (Al-Wihda, May 5, 2007; AFP, November 30, 2006; Reuters, December 1, 2006). As one rebel spokesman has noted: “We have no Islamist ideology… It is now a fashion in the world to call one’s enemy an Islamist or a terrorist” (Al-Wihda, November 26, 2006). After the assault on N’Djamena, the Chadian Interior Ministry put over 100 prisoners on display for the press, describing them as “Sudanese mercenaries, Islamic militants and members of al-Qaeda” (Reuters, February 13). The defeat of the rebel attack even as it reached the presidential palace in N’Djamena was more likely due to poor training and coordination on the part of the rebels than to French intervention. The timing of the assault reflected Khartoum’s urgency in deposing Déby and ending Chadian support for Darfur’s rebels before the arrival of the European Union peacekeeping force made this a practical impossibility. France provided logistical and intelligence support to the president’s forces during the fighting. The French Defense Ministry confirmed that it arranged for ammunition for Chad’s Russian-built T-55 tanks to be flown in from Libya for use against the rebel offensive (Reuters, February 14). Oddly enough, the Chadian prime minister accused Libya of supporting the rebel attack (Sudan Tribune, February 7). Other reports that French Special Forces participated in the fighting in N’Djamena have been denied by Paris (La Croix, February 8; L’Humanité, February 9). Following the assault, President Déby instituted a State of Emergency, set to last until March 15. Déby’s forces are fortifying the capital to deter similar attacks. Armed vehicles will no longer be able to strike across the savanna into N’Djamena with the construction of a three-meter deep trench around the city that will force all traffic to go through fortified gateways. The trees that offer the only refuge from N’Djamena’s blistering heat are also being cut down after rebels used some cut trees to block roads during the raid (Reuters, March 3; BBC, March 4). The regime is also seeking to buy half a dozen helicopter gunships from Russia or other East European sources. French President Nicolas Sarkozy visited Chad in late February in a show of support for President Déby that included a call for a more effective democratization process (TchadVision, February 28; African Press Agency, February 27). Earlier, Sarkozy had declared his intention to make a clean break with French neo-colonialism in Africa, but his quick reversal on Chad demonstrates the deep roots of the French government’s “FrançAfrique” network that seeks to preserve commercial and strategic interests in the former colonies. Despite Sarkozy’s visit, France may already be preparing for the post-Déby era by granting asylum to Chadian opposition leader Ngarlejy Yorongar. Full details are lacking, but Yorongar is reported to have been arrested on February 3, held in a secret N’Djamena prison—probably in the headquarters of the state intelligence service, the Direction des Renseignements Generaux—and finally dumped in a cemetery on February 21 before finding his way to Cameroon. Another opposition leader, Ibni Oumar Mahamat Saleh, was arrested at the same time but has not been seen since (AFP, March 4; Al-Wihda, March 6). Former Chadian President Lol Mahamat Choua was also detained, but was later released. A 14-nation EU peacekeeping force began deploying in February but is not expected to be fully operational until the end of March. The majority of the 3,700 troops will be French, with the second largest contingent of 450 troops coming from Ireland. EUFOR is commanded from France by Irish Major General Pat Nash and in Chad/CAR by French Brigadier Jean-Philippe Ganascia. EUFOR deployment was delayed by the rebel strike into N’Djamena which came at precisely the same time deployment was set to begin. EUFOR allows the French to expand France’s military presence in traditional overseas areas of influence like Chad and the CAR in a way that would raise eyebrows if done unilaterally. 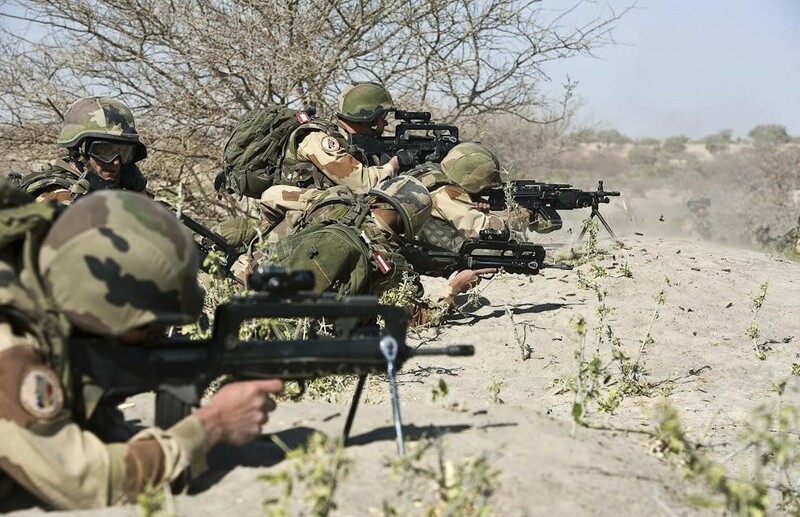 Though it has said little publicly, France is worried about the growing U.S. military encroachment into Africa through the establishment of AFRICOM and various counter-terrorism training programs, including one in Chad. The spokesman for the rebels’ unified military command, Abderahman Koulamallah, describes the EUFOR deployment as “a low maneuver by the French government to try and rescue Déby” (Al-Wihda, March 7). Other rebels speak of EUFOR as a French commitment to “liquidate” the opposition (TchadVision, February 16). Following mediation from Senegal, Chad and Sudan have agreed to sign another in a series of peace agreements on March 12 at the Organization of the Islamic Conference summit in Dakar (AFP, March 6). There is little reason to hope that this agreement will be any more effective than those that have preceded it. Rebel leader Mahamat Nouri has denied reports of negotiations with the Déby regime, claiming the president “treated us as nobodies. He has no intention at all to negotiate while we have been demanding national dialogue, round-table meetings, etc., for 20 months in order to resolve our problems permanently. But we never received any response” (Radio France Internationale, February 21). In an effort to retain power, President Déby has purged the general staff several times in the last few years and has lost many of his most powerful supporters in the military. The president is seriously ill and would like to be succeeded in the presidency by his son Brahim, but this is unlikely to happen. Far from becoming the hoped for example of a way out of the factionalism and corruption that has tended to accompany the discovery of oil reserves in Africa, Chad has developed a bloody intra-tribal struggle for control of oil revenues with little hope for stability and progress in sight. After being driven from the Somali capital of Mogadishu to the port city of Kismayo by Ethiopian troops in late December, Islamist leader Sheikh Sharif Sheikh Ahmed urged “Islamic Courts fighters, supporters and every true Muslim to start an insurgency against the Ethiopian troops in Somalia” (Shabelle Media Network, December 30, 2006). 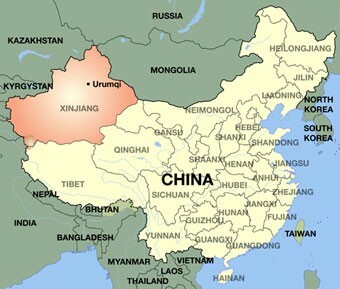 In mid-January, the Islamic Courts Union (ICU) reorganized into an insurgent group with the name Popular Resistance Movement in the Land of the Two Migrations, or PRMLTM (Qaadisiya.com, January 19). The insurgents are dedicated to removing the Ethiopian-imposed, but internationally recognized, Somali Transitional Federal Government (TFG) as well as expelling all foreign troops from Somalia. According to TFG President Abdullahi Yusuf, “Those who throw grenades at night are definitely the remnants of the Islamic Courts and we can defeat them” (Shabelle Media Network, January 14). The government estimates that 3,000 Islamist fighters are still active in Mogadishu. 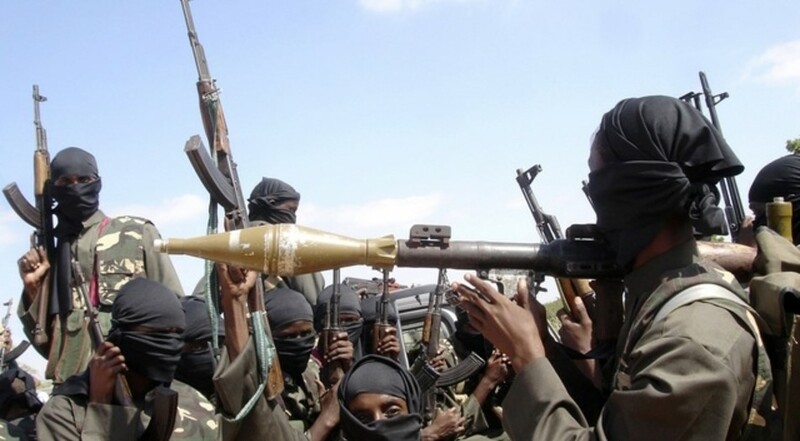 In light of these threats, it is important to assess the tactics that insurgents will use in their operations against TFG, Ethiopian and other foreign troops deployed to Somalia. Modern Somali combat tactics are typically based on the use of the “technical,” an armor-plated pick-up truck equipped with an anti-aircraft gun, used for firepower and battlefield mobility. Insurgents have largely abandoned the use of the technical in urban Mogadishu, where civilian vehicles attract less attention from Ethiopian patrols. ICU technicals in Mogadishu were returned by the Islamists to the clan militias that had originally donated them. Nearly 100 technicals in Kismayo were driven out of the city when the Islamists abandoned it on January 7. The technicals are, in any case, no match for Ethiopian armor. Insurgents are active mostly at night when the police, TFG troops and Ethiopians retreat to their compounds, but daytime attacks are not uncommon. Mortar or rocket assaults on allied positions are the most common form of attack, occurring on an almost daily basis in Mogadishu. The mortar is usually transported to a residential neighborhood by car or pick-up truck before deployment. Typically, a small number of rounds are launched before the target is engaged with automatic weapons fire, while the mortar is withdrawn. Firefights can last a few minutes or several hours, with government or Ethiopian forces generally reluctant to emerge from their positions until the firing has stopped. As the gunmen withdraw, retaliatory allied rocket or artillery fire targets the neighborhood from which the mortar fire came. TFG/Ethiopian troops may conduct a house-to-house search for weapons in the neighborhood the next day. At one point, TFG soldiers began to confiscate cell phones from people in the street, fearing that they might be used to direct mortar attacks (SomaliNet, February 21). Assassinations are the second most common tactic. Politically-inspired killings of government officials or police officers are often carried out in a “drive-by” fashion by gunmen in a car. Bombs may be used for significant targets, although it is much more common for a hand grenade to be tossed through a house or car window. A TFG spokesman claimed that assassinations are a long-standing technique of the Islamists: “Before Islamists took control of the capital, specific individuals were being assassinated and when they clutched control of the capital, assassinations halted. Now that they were defeated, killing has restarted” (Shabelle Media Network, January 28). RPG and automatic weapons fire on TFG/Ethiopian convoys is rare in comparison, but offers the insurgents the best opportunity to kill allied troops outside their well-defended compounds. In a February 8 daylight RPG attack on an Ethiopian convoy, the grenade missed the convoy entirely and took out a civilian Toyota, killing two people. Ethiopian troops can overreact to such situations. On January 20, for example, a man fired a pistol at an Ethiopian convoy in a north Mogadishu market. While the man slipped away, Ethiopian troops opened fire on the market crowd, killing four and wounding many others. In early January, there were two instances of gunmen in cars or pick-up trucks attacking allied convoys or positions with RPGs and automatic weapons, but this tactic has been little used since (although passing cars may still lob a grenade into army positions). The insurgents’ targets include police stations, the presidential compound, the Defense Ministry, hotels housing TFG, Ethiopian or AU officials (such as the Banadir Hotel, Hotel Kaah and the Ambassador Hotel), TFG/Ethiopian army compounds (including the Difger Hospital, commandeered for military use), the seaport (where Ethiopian troops are quartered) and the airport (the PRMLTM threatened to shoot down aircraft using the airport, but so far only mortar attacks have been carried out). Insurgent losses during operations in Mogadishu appear to be remarkably small. Those killed or wounded are apparently recovered before pulling out. No insurgent has been taken prisoner in the course of an operation in Mogadishu. Nearly all insurgent attacks occur in the Mogadishu region, with a small number of attacks in the port city of Kismayo. This does not, however, indicate a state of peace in the rest of the country, where clan fighting and battles between tribal militias and government forces claim as many lives as the insurgency. A spokesman for the PRMLTM recently threatened the use of suicide attacks against AU peacekeepers: “We promise we shall welcome them with bullets from heavy guns, exploding cars and young men eager to carry out martyrdom operations against these colonial forces” (Banadir.com, February 25). So far, suicide attacks have been rare in a population little inclined to such methods. Iraq-style bombings directed at masses of civilians have also failed to appear in the Somali insurgency. As the Ethiopians entered Somalia last December, Sheikh Yusuf Mohamed Siad “Indha-Adde,” the ICU defense chief, made an appeal for foreign assistance: “The country is open to all Muslim jihadists worldwide. We call them to come to Somalia and continue their holy war in Somalia. We welcome anyone, who can remove the Ethiopian enemy, to enter our country” (Shabelle Media Network, December 23, 2006). At the time, TFG Prime Minister Ali Muhammad Gedi claimed that 4,000 foreign fighters had joined the ICU. While several scores of foreigners have been arrested at the Kenyan border, the prime minister’s tally seems to have been greatly exaggerated. There is no evidence yet that foreign fighters are involved in the current clashes in Mogadishu, although TFG military commander Saed Dhere accused unnamed foreign countries of financing the attacks (SomaliNet, February 24). Despite disarmament efforts, arms can be found everywhere in Mogadishu. When the Islamists withdrew from the capital, they abandoned large stocks of arms that were then plundered by looters (Shabelle Media Network, December 28, 2006). Incredibly, the Bakara and Argentina arms markets in Mogadishu remain open, selling hand grenades, RPGs, machine guns, anti-aircraft guns and the ubiquitous AK-47 assault rifle. Several warlords who turned in their arms during the government’s disarmament campaign (including Mohamed Dheere, Muhammad Qanyare Afrah and Abdi Nur Siyad) have been observed stocking up on new RPGs, heavy machine-guns and other weapons (Terrorism Focus, February 27). The AK-47 remains the insurgents’ most common weapon, many of these having been seized from the police. Deputy Defense Minister Salad Ali Jelle claims that the insurgents always target the civilian population in Mogadishu in order to create a perception of instability for foreign consumption (Shabelle Media Network, February 7). The insurgents actually do not target civilian areas so much as display ineptitude in finding the proper range with their mortars, leading to widespread destruction of civilian areas and large losses of life compared to the relatively few casualties they inflict on the government compounds. Further casualties are created when allied forces lash out blindly with artillery and rocket fire when they come under attack from residential neighborhoods. The wounded have difficulty reaching already overwhelmed hospitals due to continuous weapons fire or roadblocks erected by allied forces. Nearly half of the wounded perish after they finally reach medical care. Religious and community leaders in Mogadishu have begged both sides to stop the devastation created by these endless rounds of attacks and counter-attacks. Sheikh Ali Haji Yusuf urged the formation of local security forces until the government can establish security in Mogadishu. The sheikh’s call was apparently heeded; in the evening of February 21, vigilante forces discovered and beat a team of gunmen attempting to deploy a mortar from their car to fire at government positions in Mogadishu. Some gunmen have found new careers as vigilantes for hire in different neighborhoods. Mogadishu police retired to their compounds several weeks ago after a series of assassinations and have rarely emerged since, leaving control of the streets to gunmen, vigilantes, criminals and the well-armed security forces of Mogadishu’s business community. The TFG claims to have developed new teams of counter-terrorism specialists, but these appear to have had little effect so far. Although Mogadishu’s Islamist insurgents may be willing to start a large-scale insurgency, their lack of training on most weapons more powerful than an AK-47 restricts the effectiveness of their attacks on allied positions. Just before the Ethiopian invasion, large numbers of students were handed arms from Islamist stockpiles. Predictably, Ethiopian regulars and warplanes quickly routed these inexperienced would-be jihadis on open ground. Mogadishu is another story. Here, TFG and Ethiopian troops have shown distaste for urban operations. TFG forces rely on Ethiopian firepower, while the Ethiopians are already in the process of withdrawal. The first of 8,000 AU peacekeepers are scheduled to arrive on March 2. Uganda asserts that its contingent will include counter-insurgency veterans and is well trained in countering suicide attacks (Banadir.com, February 25). AU peacekeepers will have to be more aggressive than the Ethiopians to contain the Mogadishu insurgency, although such tactics might reinforce popular perception of the peacekeepers as an occupation army. TFG soldiers and police will also be certain to stand aside while AU troops do the heavy work. With time, the effectiveness of the insurgents will improve, leading to the possibility of intense fighting as long as the TFG refuses to include the Islamist leadership in the national reconciliation process, as urged by Ethiopia, the United States and the European Union.